The Japan Foundation, Manila deeply regrets to announce that the Japanese Film Festival | EIGASAI 2017, scheduled to be held in Abreeza Mall Cinema, Ayala (July 21-23) and FDCP Cinematheque-Davao (July 26-30) is postponed. Please kindly await for further announcements. Thank you for your understanding and continuing support. MANILA (June 13, 2017) The Japan Foundation, Manila is pleased to present a screening of the award-winning Japanese animated film IN THIS CORNER OF THE WORLD (この世界の片隅に, Kono Sekai no Katasumi ni) together with a special talk by Dr. Jaqueline Berndt, director of the international traveling exhibition: Manga Hokusai Manga: Approaching the Master’s Compendium from the Perspective of Contemporary Comics at Ateneo Art Gallery. The screening and the talk will be held on July 1 from 4pm at CCP Dream Theater (Cultural Center of the Philippines, Pasay City), in collaboration with the Japanese Film Festival (JFF) | EIGASAI 2017 and the exhibition. Admission is free on a first-come, first-served basis. The winner of Animation of the Year for the 40th Japan Academy Prize in 2016, IN THIS CORNER OF THE WORLD is a story about an ordinary young girl living in Hiroshima in war-time Japan. Directed by Sunao Katabuchi, the film is based on the manga of the same title created by Fumiyo Kono, and is an entirely hand-drawn film. Inspired by the practice of translating hand drawn manga to anime as shown in the film, the talk entitled “Made by Hand in the Age of Digitalization: On a Particularity of Present Manga and Anime” will be delivered before the film showing by Dr. Berndt who is a professor in Japanese Language and Culture at Stockholm University with an expertise in manga and anime studies. Dr. Berndt, who will be flying in to the Philippines to grace the exhibition, will also give a talk dubbed “Exhibiting Manga: Intentions, Difficulties, and Potentials” on Friday, June 30 from 3:30pm at Natividad Galang Fajardo Room, Dela Costa Hall, Ateneo de Manila University to discuss her experience in directing an exhibition on Japanese comics (manga). The exhibition is open from June 17 to July 28 at Ateneo Art Gallery, introducing the similarities and differences between modern Japanese manga, which now enjoys global popularity, and Katsushika Hokusai’s manga. On July 1, celebrating the 20th anniversary of EIGASAI as well as the beginning of the Philippine-Japan Friendship Month, JFF | EIGASAI will also presents a retrospective showcase of films: MEMORIES OF YOU (2pm) and THE STING OF DEATH (7:30pm) screened twenty years ago at CCP, the birthplace of EIGASAI, serving as a prelude to the grand opening night on July 6 at the Shangri-La Plaza. For updates and other screening schedules please follow the official JFF | EIGASAI Facebook Page: @eigasaiPH. Follow the official JFF | EIGASAI Facebook Page (eigasaiPH) for updates and schedules. 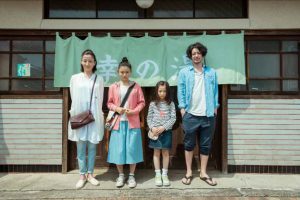 MANILA and TOKYO (June 13, 2017) – The Japan Foundation, Manila, celebrating the 20th anniversary of its Japanese Film Festival (JFF), widely known as EIGASAI, announced the full lineup of films and special guests for JFF | EIGASAI 2017. Starting from Saturday, July 1, in honor of the Philippines-Japan Friendship Month, to August 29, 2017 with 20 films of various genres selected for more than 100 screenings across six major cities nationwide, JFF | EIGASAI’s 20th anniversary edition is set to be the biggest and best yet. JFF | EIGASAI 2017 officially kicks off its 20th anniversary in grand style opening night on July 6, 2017 with the screening of HER LOVE BOILS BATHWATER (湯を沸かすほどの熱い愛 Yu o wakasu hodo no atsui ai) at the Shang Cineplex to be graced by this year’s special guest director Ryota Nakano, who is also scheduled to hold talks for filmmakers and the general public during his stay in the Philippines to talk about both his career and the making of his successful first commercial film HER LOVE BOILS BATHWATER. To commemorate the anniversary, JFF | EIGASAI 2017 presents a retrospective showcase of films. There will be a special encore screening of DEPARTURES (おくりびと Okuribito), the 81st Academy Award for Best Foreign Language winner and one of the most well-received films in the history of EIGASAI. Two rare 16mm films screened at the first Japanese Film Festival in 1997: THE STING OF DEATH (死の棘 Shi no toge) directed by Kohei Oguri, the Grand Prix du Jury winner at the 1990 Cannes Film Festival, and MEMORIES OF YOU (ラブ・ストーリーを君に Love story wo kimi ni) directed by Shinichiro Sawai, will revive on July 1 at the birthplace of the Japanese Film Festival, CCP, serving as a prelude to the grand opening night on July 6 at the Shangri-La Plaza. A long-lasting partnership with CCP and the Japan Foundation’s support towards independent filmmakers brings forth again the screening of the Japanese independent film: POOLSIDEMAN (プールサイドマン Poolsideman), winner of the Best Picture Award in the Japanese Cinema Splash at the Tokyo International Film Festival 2016. 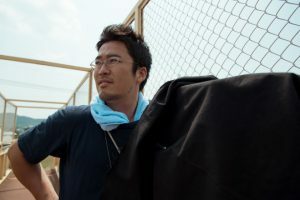 Hirobumi Watanabe, director of the film will also be present at his Philippine premier during the Cinemalaya Philippine Independent Film Festival in August, an allied festival of JFF | EIGASAI since last year. For the 20th edition, EIGASAI is part of the Japan Foundation Asia Center’s unified Japanese Film Festival held around Southeast Asia and the Pacific region, and together with the Japan Foundation, Manila, different genres of films from animation, drama, comedy, documentary, to horror, were curated with a total of 20 titles – 17 of which are with English subtitles and three are dubbed in Tagalog, offering Japanese film lovers the chance to experience their favorite genre while discovering something new. In addition to the cinema partners from last year, JFF | EIGASAI 2017 is expanding its reach and impact in the wider region by adding cinemas in Bacolod and Iloilo, and extending the festival period till the end of August. As with the previous years, JFF | EIGASAI 2017 will also have its provincial run in Baguio, Cebu and Davao. Screening venues are: CCP Dream Theater, CCP Complex, Pasay City (July 1 and August 5, 10 and 11), Shang Cineplex Cinema, Shangri-La Plaza, Mandaluyong City (July 6-16), UP Film Institute, UP-Diliman, Quezon City (August 16-19), Abreeza Mall Cinema, Ayala, Davao City (July 21-23), FDCP Cinematheque-Davao, Davao City (July 26-30), Ayala Center Cebu Cinema, Cebu City (August 2-6), SM City Baguio Cinema, Baguio City (August 10-13), SM City Bacolod Cinema, Bacolod City (August 24-27), and FDCP Cinematheque-Iloilo, Iloilo City (August 25-29). Admission is free on a first-come, first-served basis, except the screenings at Shang Cineplex Cinema which will be PHP 100 per one film screening. JFF | EIGASAI 2017 is generously supported by Shangri-La Plaza, Shang Cineplex, UP Film Institute, Cultural Center of the Philippines, SM Supermalls, SM City Baguio, SM City Bacolod, Film Development Council of the Philippines, Japan International Cooperation Agency, Japanese Association of Northern Luzon, Sa Lubong-Baguio, Cordillera Green Network, JT International (Philippines) Inc., Viva Communications Inc., Tagalized Movie Channel (TMC), Mitsubishi Corporation, Japan Airlines Co., Ltd., Akira, SumoSam, Richmonde Hotel Ortigas and Canon Marketing (Philippines), Inc..